Hawksbill turtles are one of the most beautiful and important marine species. They help maintain the health of our reefs by dining on algae and sea sponges, they help to promote coral growth and regeneration, and give reef residents access to food sources. 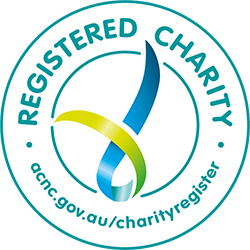 In fact, our very own Great Barrier Reef is home to a vital breeding population of these unique turtles. These precious turtles are being hunted for their shells, commonly known as ‘tortoiseshell’. Their shell is made up of a unique pattern of ambers, yellows and browns. Once they leave the safety of the Great Barrier Reef, they are hunted and turned into souvenirs and trinkets such as jewellery, hair combs, sunglasses and ornaments. Unfortunately, holidaymakers are unwittingly helping to push the hawksbill turtle to the brink of extinction by purchasing exotic tortoiseshell souvenirs while overseas. 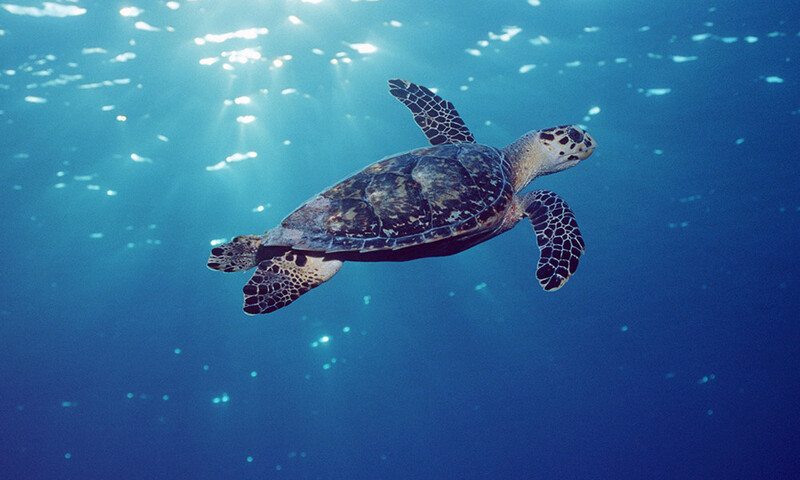 Though hawksbill products were banned internationally in the 1990s, the illegal trade continues. A new demand has re-emerged, putting these beautiful marine turtles at risk. Not only is it illegal to buy tortoiseshell in many countries, but upon returning home, travellers may face seizures and large fines. Any Australian heading overseas to countries like Papua New Guinea, Solomon Islands, Indonesia, Malaysia, mainland China, Japan, Vietnam and Korea could mistakenly purchase souvenirs made of REAL hawksbill shell. WWF has partnered with another regular Pacific traveller - Royal Caribbean Cruises (RCL) - to highlight the hawksbill's plight and help halt the illegal trade of tortoiseshell. Hawksbill turtles are now listed as globally endangered. In the last 100 years, their population has declined dramatically. It’s estimated that there are only 4,800 breeding females left in the Pacific Ocean. All sea turtles face threats from poaching, plastic pollution, being captured in fishing gear and climate change. But hawksbill turtles face a unique threat due to their precious shells. 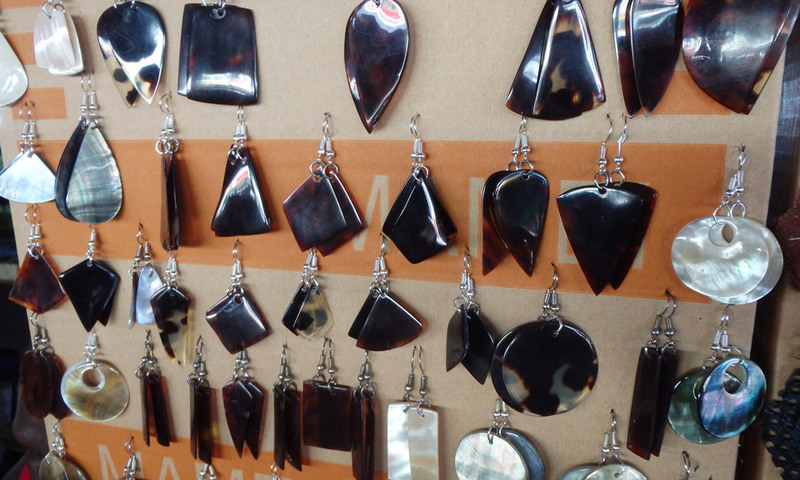 Fake tortoiseshell products often use materials like plastic, coconut and bone. It can often be hard to tell the difference between real and fake tortoiseshell. When in doubt, choose to say no and opt for a more ethical and sustainable souvenir. 2018-19: Develop DNA detection technology with partners. 2019-21: Establish ‘Shell Bank’ - an opportunity for Australians to donate historically purchased tortoiseshell product for testing. 2018-19: Evaluate the social, cultural, economic and environmental importance of hawksbill turtles. 2019-21: Establish the current market trends of the hawksbill turtle trade in a demand country and implement the DNA detection tool. 2018-21: Lead transboundary policy reform for zero poaching. Go behind the scenes with our turtle conservationist as she tackles the illegal wildlife trade of hawksbill turtles and their unique tortoiseshell. 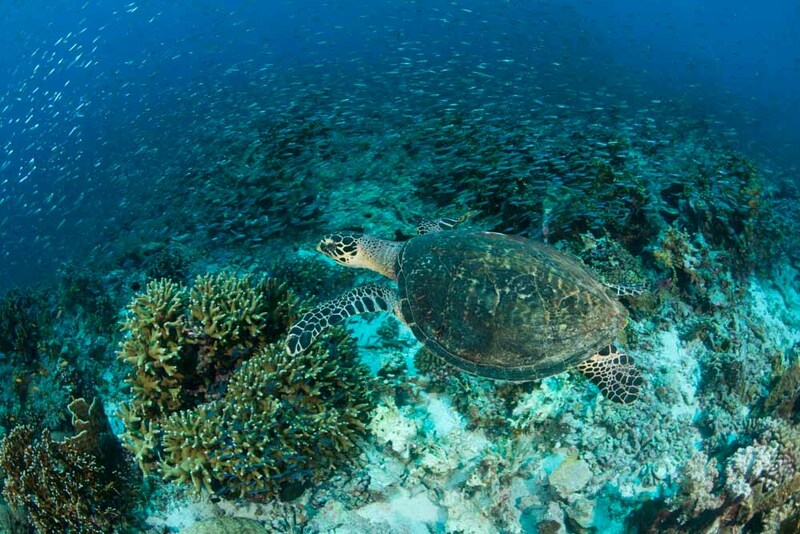 This month the Queensland Government officially up listed the hawksbill turtle from vulnerable to endangered.